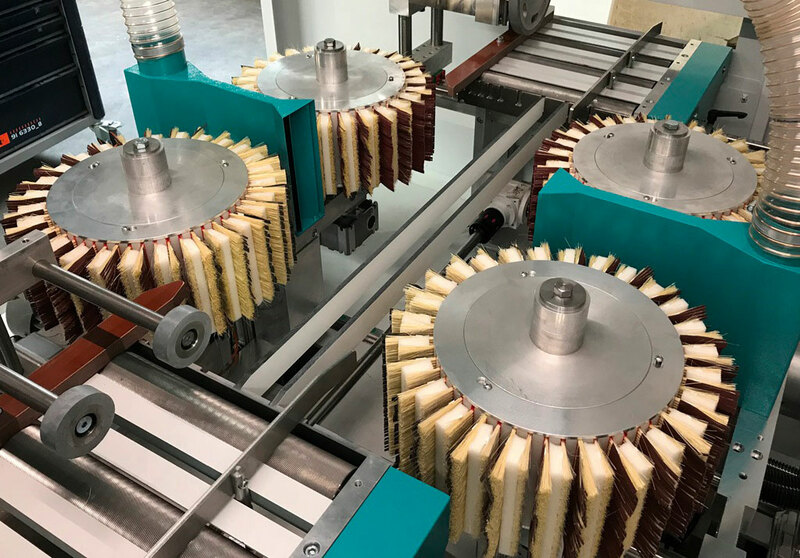 The sanding machine Roba Profile is constructed for wood and intermediate lacquer sanding of moldings with the help of brush tools and compound sanding wheels. Also appropriate for light structuring work. 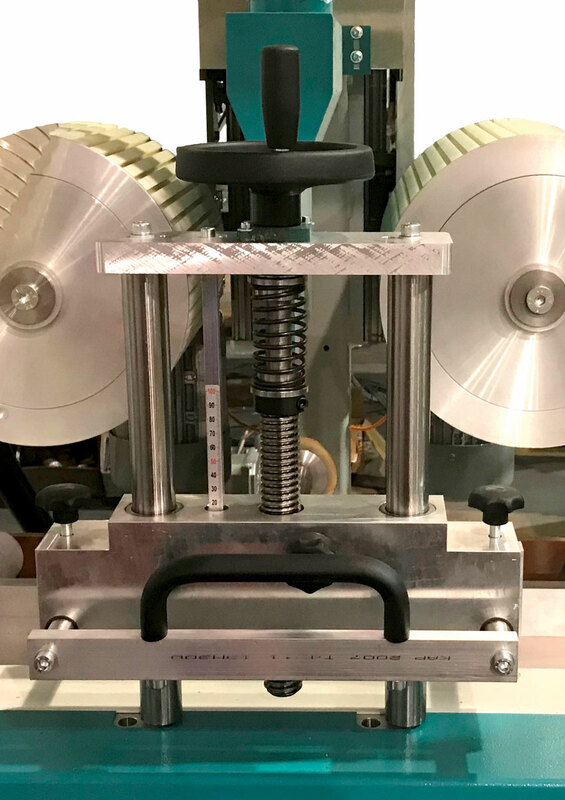 Due to the solid construction and simple set-up this machine guarantees an optimal serviceability of all its components. According to customers’ demands it can be produced as a one to four sided construction. The main idea of the Roba Profile sanding principle is the clockwise followed immediately by counterclockwise sanding: Only in this way it is ensured that, independently of the wood grain structure, all upstanding „hairs“ are denibbed. The Roba Profile machine in all its configurations is built for sanding moldings found in various furniture, window and joinery companies. Solid, veneered or lacquered. In the main configuration the Roba Profile machine contains two rotational sanding heads and a pressure roller system. Set up in this way it is a solid basic layout for those customers who wish an optimized price-performance ratio. Due to the modular construction of the Roba Profile series, the machine can be configured to every customers demand. E.g. an four double brush machine is able to sand profiled moldings from all four sides. 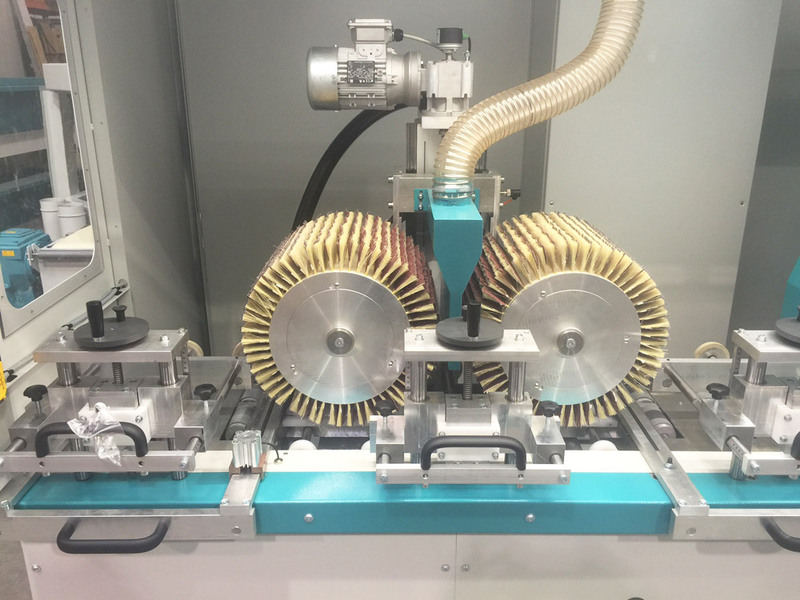 Equipped with the MB Flex brush systems the machine is very easy and fast maintained to be set-up for a new profile. Divergently to the known systems based on sanding belts the Roba Profile brush system forgives a not strictly exact setting of the aggregates. Centralized set up for the side guides and the top pressure roller system and programming via Touch Screen make sure that even not experienced personnel is able to maintain such a machine. In only a couple of minutes a Roba Profile is ready to proceed. Further on this machine type is used for intermediate lacquer sanding. For that application often feed speeds up to 150 m/min (492 ft/min) are necessary. The standard working width is 300 mm. Pressure roller system will hold work pieces from 330mm safely. Back-to-back feeding of shorter parts is also possible. Very easy maintenance and set-up. Extra-large tools improve the sanding result. Infinite variable setting of the head rotations and feed speed. The feed system consists of gummed transport roller. The side fenders and top pressure systems are easy to adjust. All sanding units oscillate taking into account part dimensions. This ensures that the abrasives are always fully utilized.